Two weeks ago was America’s largest vision related conference and trade show, Vision Expo East, held once again in the Javits Center in New York City. Naturally Kennedy & Perkins was represented as well by our own Dart Messick and Rick Kennedy as well a several of our key optical staff members. We saw a lot of great product we are bringing back to our customers from the newest styles in eyeglasses and sunglasses, to the newest in lens technologies to make your eyeglasses even lighter and your eyesight even sharper. 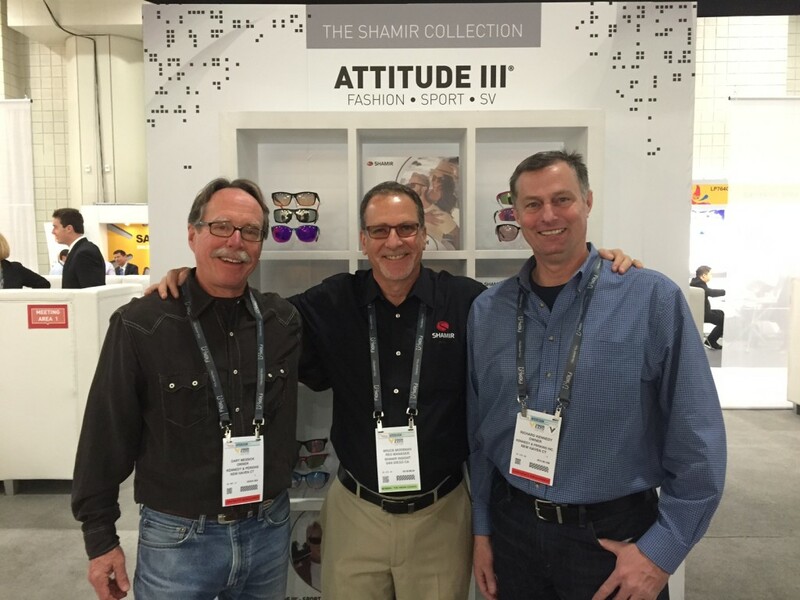 Pictured above is Dart Messick of K&P, Bruce Mossman of Shamir Lenses, and Rick Kennedy of K&P. Pictured above are Siran Dietz, Jack Erker of NW77th, Patricia Perelli, Josephine Sandagata, and Rick Kennedy of K&P. Thank you to everyone who came to our 2014 Trunk Show late last month. We were able to showcase so many great new styles and colors of eyewear from some of the best eyewear manufacturers from around the world. Many of what our manufacturers displayed are arriving on our store shelves every day, so come in and take a look at the great new eyeglasses and sunglasses we have for Connecticut. Here are a few shots from our Trunk Show. From left to right: Kennedy & Perkins Opticians Brandon O’Brian, Ann Moser, Kathy Hagan-Carver, and Sonia Pinto, as well as Lafont representative Jed Leach at our Old Saybrook location. From left to right: Kennedy & Perkins Opticians Maggie Lieberman, Jennifer Rich, Nanette Hammond and Michele Merola with Cyril Dray, President of L’Unique Optique at our New Haven location. 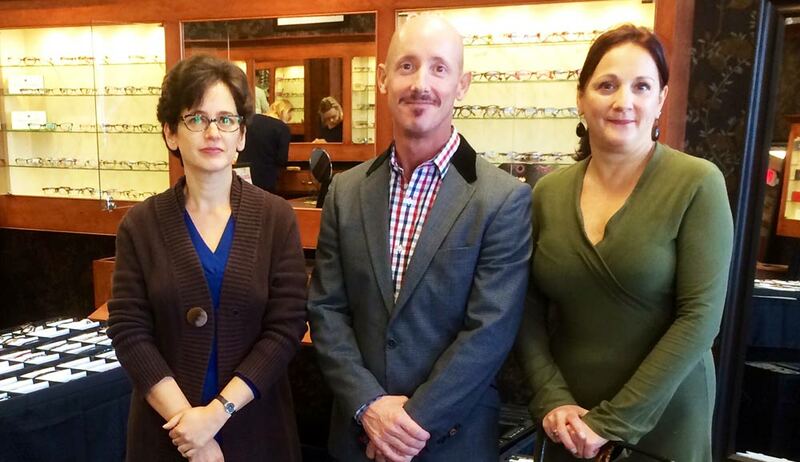 From left to right: Kennedy & Perkins Optician Michelle Mathieu, Oliver People rrepresentativeMichael Mason and Kennedy & Perkins Optician Patricia Perrelli at our Guilford location. 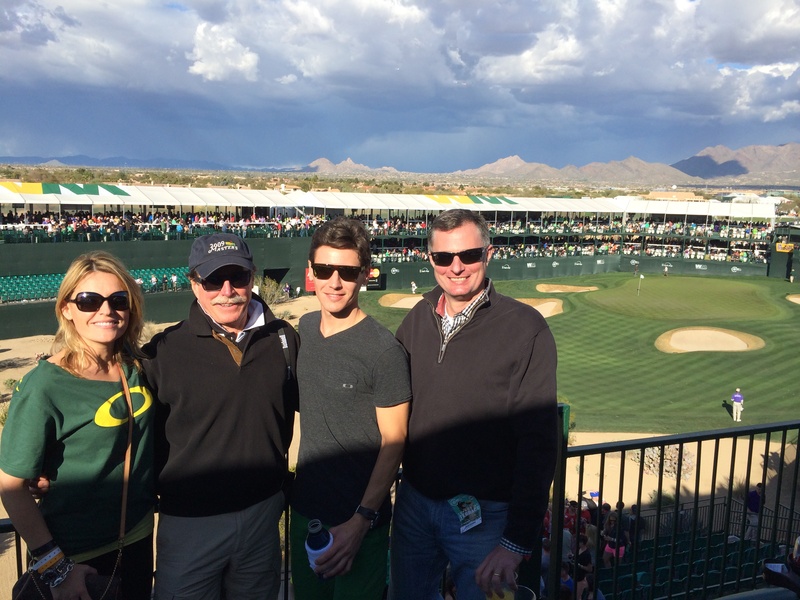 Kennedy & Perkins owners, Dart Messick and Rick Kennedy spend some time viewing the newest offerings from Oakley at The Phoenix Open Golf Tournament with Oakley Regional Sales Manager, Beata Liss and Oakley Sales Representative, Brian Kelley. 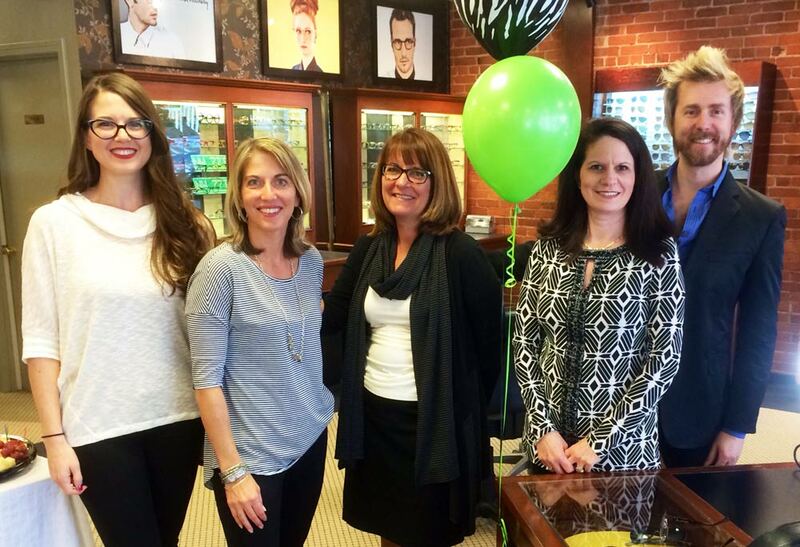 The staff at Kennedy & Perkins is undoubtedly the best educated, most experienced optical team in New England. We recently had a company-wide education evening learning about the newest, most exciting lens from Shamir, the Autograph III. The Autograph III is a brand new balanced progressive lens that is holistically adapted to your individual prescription, giving each person unparalleled clarity in a comfortable lens. (Some of us have been testing this lens over the last several months, and wouldn’t give them up for just about anything!) Pictured here is Pam Benson-Gibson of Shamir, one of the country’s best optical educators and your friends and family at Kennedy & Perkins. 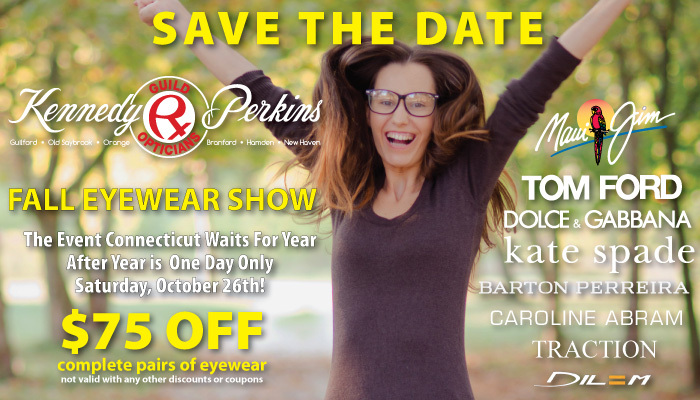 Kennedy & Perkins Fall Eyewear Show is just weeks away. Mark your calenders and we will see you on October 26th! We recently opened our sixth optical location in Guilford. So many of our loyal clients live in between Branford and Old Saybrook that when the opportunity arose, we jumped at the chance to open a beautiful new store in the Shorline Big Y Plaza at 856 Boston Post Road. 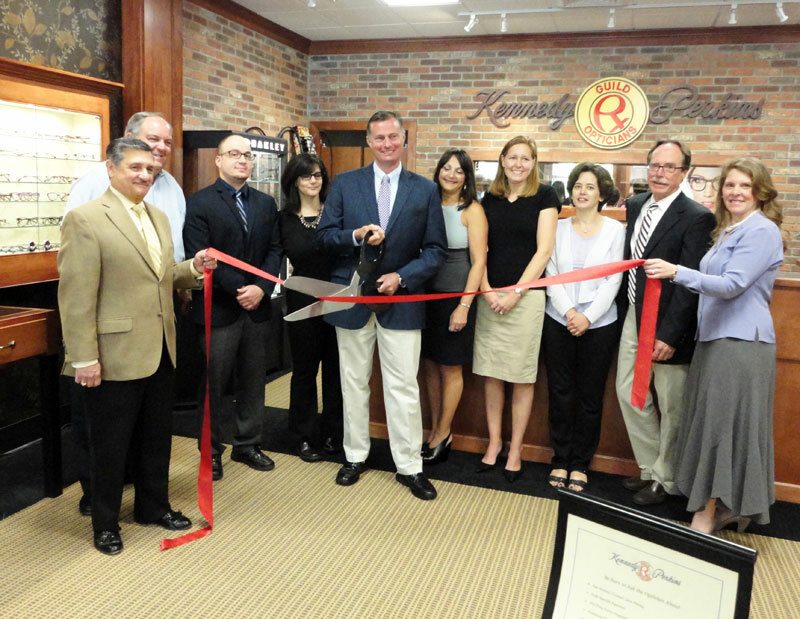 Here is a photo of our recent ribbon cutting ceremony to open our newest location. Erica Azarigian / Guilford Chamber of Commerce Board member. We look forward to seeing so many of our old friends and make a lot of new friends in this great new location.Stop in a see us soon. 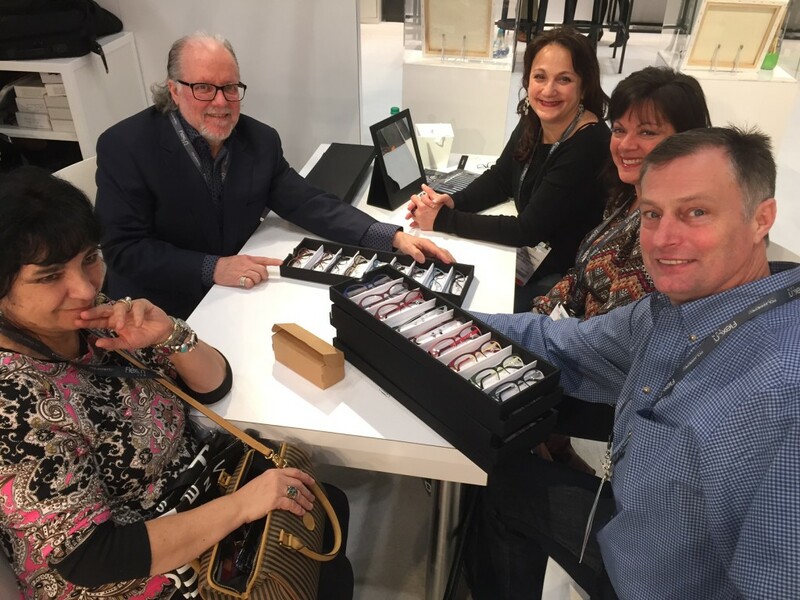 We just finished attending Vision Expo East, the nation’s premier optical trade show in New York City over the weekend to look at and purchase the new Spring and Summer collections of eyewear for Kennedy & Perkins. 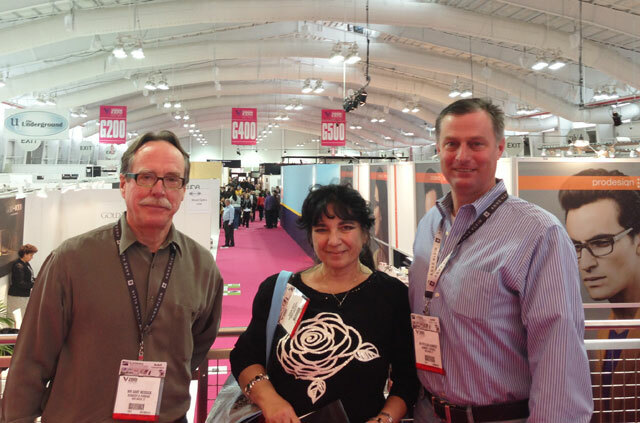 Here are owners Dart Messick and Rick Kennedy flanking one of the hardest working women in the optical business, Siran Dietz, Licenced Manager of our North Haven location, a Kennedy & Perkins employee for 29 years, and to top it all off, Connecticut optician of the Year, at the show. We spend months preparing for our annual Fall Trunk Show. We want to thank all of our customers from across Connecticut who made it to last weeks Fall Spectacular. Most of all, we want to thank our dedicated staff of Opticians without whom we could never put on such an event in all five Kennedy & Perkins locations. If you missed the Fall Trunk Show you can still stop by your nearest Kennedy & Perkins and see some of the great new product for 2013 arriving daily. 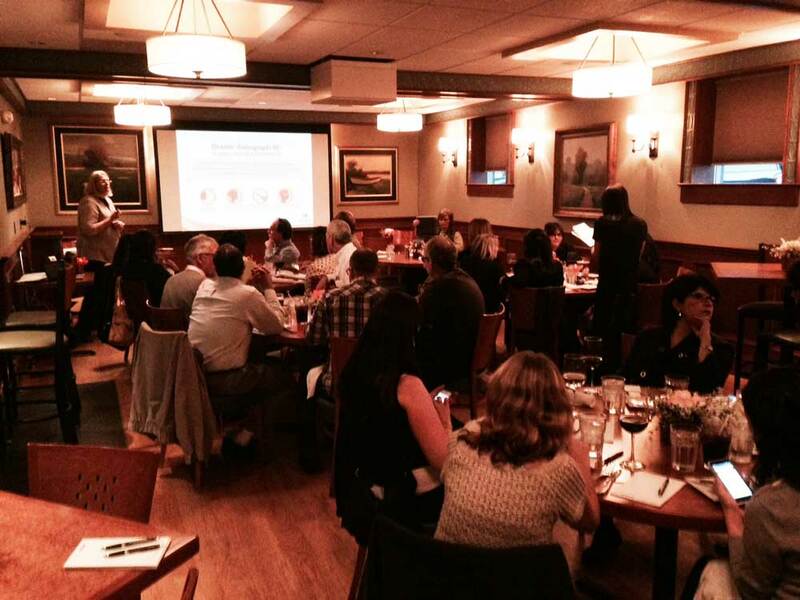 Here are a few shots from last weeks event. Above: In Old Saybrook featuring the Oliver Peoples and Paul Smith eyewear collections for 2013. 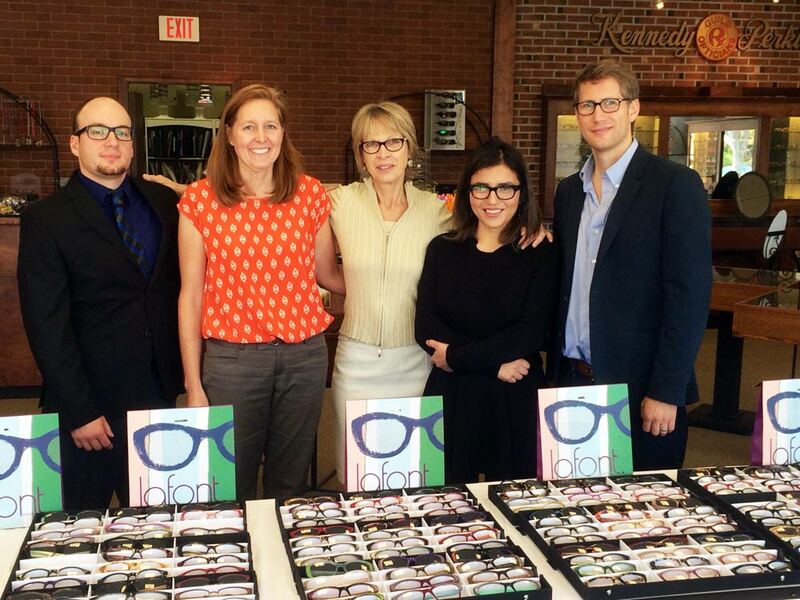 Seen above l-r are the K&P store manager Dave Wojcik, eyewear fashion consultant Kathy Hagan-Carver, Oliver Peoples New England sales VP Michael Mason, and K&P general manager Patricia Perrelli. Above: In the New Haven office featuring the French eyewear collection for 2013 from Anne et Valentine. Seen above from L-R are K&P staff members Nick Murano, Nanette Hammond, Michele Merola, Anne et Valentine East Coast sales manager Marie France Labbe, K&P staff member Jennifer Rich, and K&P owner Richard Kennedy.